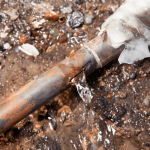 With winter just around the corner, you may want to read what ARCCA Expert Peter Chen says about one of the leading sources of residential and commercial water losses – frozen pipes. His latest article appears in the Fall 2017 issue of Subrogator Magazine. Peter is a Mechanical Engineer at ARCCA and specializes in Product Failure/Liability, Industrial Equipment (manufacturing, production, assembly, construction and HVAC), Fire Cause and Origin, Worksite Safety, Aviation and Transportation issues. To learn more about Peter, click here.